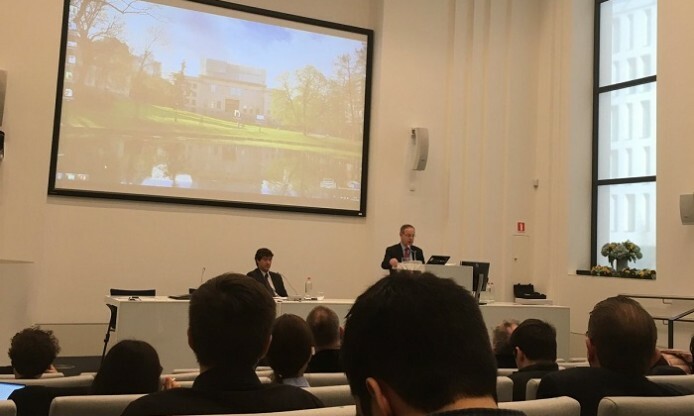 On 21st March in Brussels, a high-level policy debate on Cultural Heritage and the Cultural and Creative Industries in Horizon Europe was organized by project REACH in the prestigious location of the House of European History. The event was preceded on 20th March by a Symposium entitled “Horizons for Heritage Research – Towards a Cluster on Cultural Heritage” which took place in Covent Garden. Here the aim was to agree on the content of a Manifesto that will provide the basis for the creation and the sustainability of a research stakeholder cluster on Cultural Heritage. PHOTOCONSORTIUM was represented at the event by vicepresident Antonella Fresa and Sofie Taes, bringing to the debate the voice of one of the Europeana aggregators for digital cultural heritage. The policy debate brought together research stakeholders and top European policy-makers to reflect on the results achieved and perspectives for European funded research and innovation on cultural heritage and the cultural and creative industries. The high-level policy debate was hosted by MEP Christian Ehler, rapporteur of the Horizon Europe proposal in the European Parliament, and co-organised with the European Commission. Did the European Year of Cultural Heritage trigger a lasting policy dynam­ic for research? What is the legacy of the EYCH for research and innovation? Which improvements are required, and what resources can be mobilised? How could we shape our mission within a longer perspective? The delegates reflected on the legacy of the year, difficulties en­countered and feedback received to take stock of European research policy developments, discussing the needs and benefits of a joint co­ordination effort and preparing for the next steps to be tak­en, including the idea of a Cluster of Cultural Heritage stakeholders, intended as a network of networks.